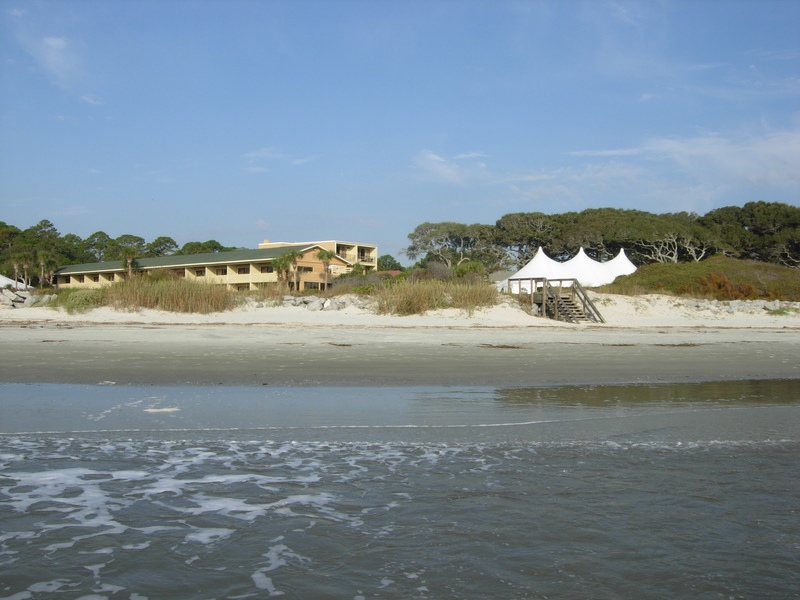 The Cumberland Island National Seashore was established in 1972. Today was the first time it was made widely accessible. And even then, the definition of “widely” is actually rather narrow. 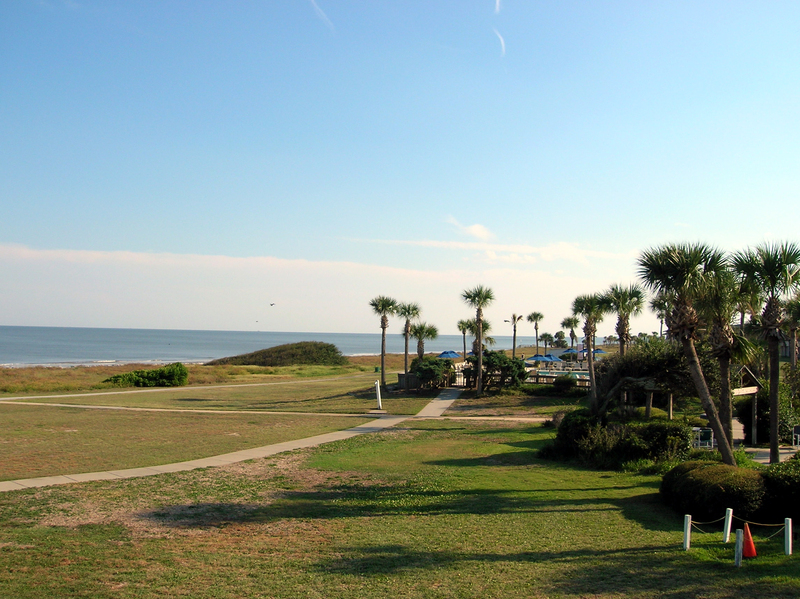 Cumberland Island is the southernmost of Georgia’s barrier islands, of which my dear Jekyll Island is one (and Cumberland’s northern neighbor). It was settled sometime before the 1500s by the Timucuans. Juan Ponce de Leon sailed past it while exploring the New World. The Spanish settled it in 1566, built a small fort and then left due to “harsh conditions” (I figure it was the heat and the mosquitoes – they’re really pretty devastating down there). Through the 1800s, the island was converted mostly into plantations with a vast number of slaves. After Emancipation, the Carnegies (yes, those Carnegies) bought up most of the island. By the 1950s, the National Parks Service ranked Cumberland second only to Cape Cod among the most significant sites along the East Coast. Later, an investor acquired about a fifth of the island with a vision for building a wilderness lodge and resort, had electricity run to the island from the mainland, then in the early ‘70s, he signed his holdings over to the federal government. The island gained a reputation for its herds of non-indigenous wild horses and its difficulty to traverse, given that no motorized vehicles were permitted on the island (except for those used by the park service for maintenance). It was a place to hike, a place to bike and a place to camp, but not a place for the faint of heart. Somewhere around seven years ago, Congress decided this was no good, and passed a law that required the National Park Service to begin offering motorized tours of the island. The problem was, see, they didn’t actually put any money into the law. They didn’t add any funds to train drivers, buy vans, improve the rugged service roads the staff used for maintenance – nothing. They just said, you know, do it. Staff have compared the approach they’ve used to be the difference between jumping into the deep end of a swimming pool or wading in slowly. They’ve endeavored to do this wisely and cautiously, in such a way that would cause minimal impact to the island. They consulted with other federal agencies and carefully began implementing the steps necessary to fulfill their unfunded mandate from an inept legislative body, the voting members of whom had never set foot on Cumberland’s sacred sands. And they’ve done so under the fire of critics that have accused them in ineptitude, harangued them in public meetings using terms like “idiots” and “lying cowards” and spread lies and accusations that were unfounded and utterly without merit. Improving access to our national parks ought not to be something we see as shameful. For dinner every day of the year and I’ll feel fine. Just a month ago, I spent hours alongside the most beautiful beach I’ve ever seen. The water was blue and so crystal clear that you could see the coral beneath its cloudless surface. 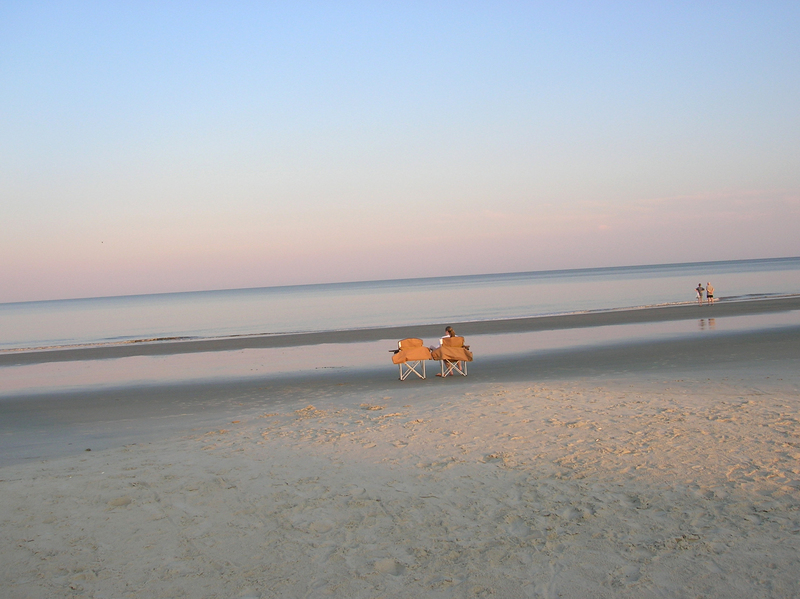 The sand was fine gold, the breeze was gentle and soothing and the beach chairs were splendid and inviting. I could not have anticipated the utter and absolute breathtaking beauty of the Bahamas. There, in Lacaya, at a Radisson resort we sat, my wife of these almost six years and I, thumbing through our books and baking in the Bahamian sun alongside a gorgeous, meandering pool and pristine sea. The next day, in Nassau, the story was much the same. Even the industrial port from which we departed on a decrepit water taxi to Paradise Island and the famous Atlantis Resort featured splendidly clear waters and welcoming locals. 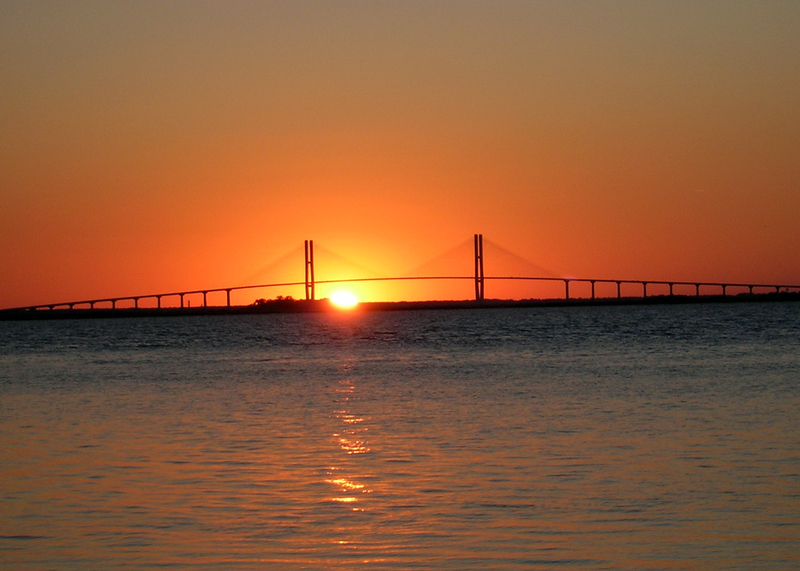 The Sydney Lanier Bridge, as seen from Driftwood Beach at sunset, circa 2006. Still, however, my heart yearns for a place with far less beauty but much more meaning. I’ve been to Paradise Island, but I long for Jekyll. It is silly, I know. Only these few weeks returned from a once-in-a-lifetime cruise to a tropical paradise, and here I am pinning for a place that, I swear, smells like my farts. (Really. It does. That’s how my wife knows it was me. “Did you fart? It smells like Jekyll.”) It’s old, rundown, and the water is tinged the shade of brown that would be familiar to people who have lived or worked within sight of a cesspool. But I’m not alone in my longing for the crusty sands of Jekyll. Just last week, my wife asked if I thought we should go down this year. Her question is ripping my soul asunder, because the obvious answer – “Hell yeah!” – is less obvious than it ordinarily would have been. She’s in school, pursuing her graduate degree in nursing. Money’s tight. Time is scarce. My dryer has been screeching for a month because I’ve had such limited opportunities to attempt a repair. I can only cut grass every two weeks, owing to her school/work schedule on weekends. It’s all I can do to do what I’m doing. Still, that quaint barrier island beacons me. I know that 90 percent of my affection for the place is owed to nostalgia – it’s where my family vacationed when I was a kid, and it’s where I’ve enjoyed some of the happiest times with my wife. 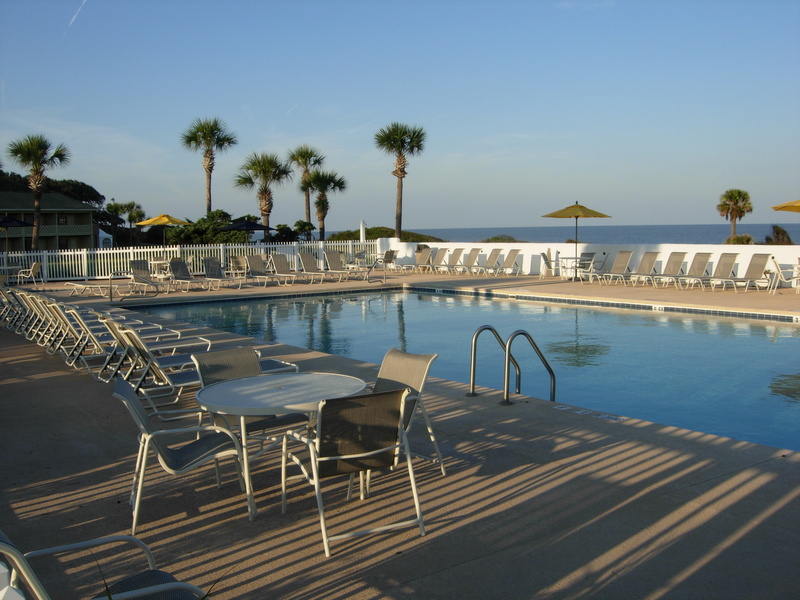 Oceanside Inn and Suites. Threadbare is beautiful. See, there’s a motel down there – it’s called the Oceanside Inn and Suites. It’s just an old roadside motor lodge, dating from decades past. It’s old and threadbare, but it’s clean. The showers are stained with age, and not want of cleaning. And they have these rooms, called Lanai suites, which look out over the pool and the beach at the same time. 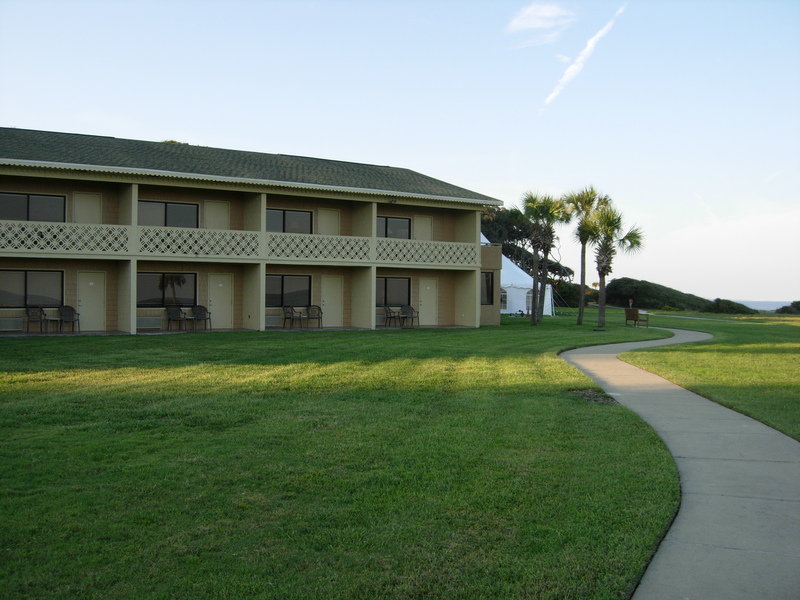 You can get one on the ground floor, with a patio door that opens right out onto the ground with an easy stroll to the beach, but I prefer the ones on the second floor, where a balcony elevates you so you can see over the dunes to the ocean and vistas beyond. And the thing about Jekyll is, once you’ve been once, there’s really nothing else to do but sit on the beach and watch the tide come and go. 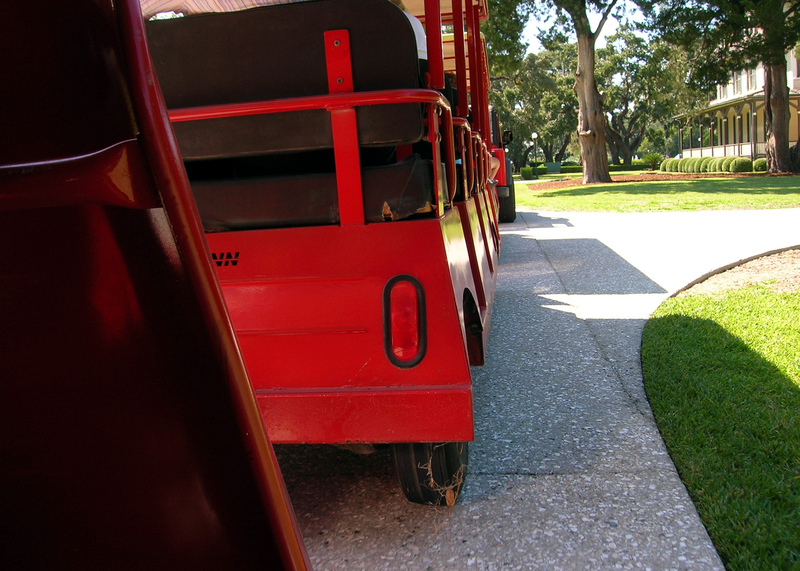 There’s a small putt-putt course, a great historic district and some small shops and restaurants, but that’s it. The island boasts some renown for its golf courses, but that’s not for me. I’d rather walk the beach and look for shells than walk the greens and look for balls. Ashley and I have been several times, but the details of all those trips rather run together. I know the first time was very special, because I’d always wanted to take someone I loved down to show them how much of me comes from the small space of time I’ve spent on that sandy spit of land. I remember once we went when it was so windy you couldn’t leave your folding chair on the beach to wade into the water for the chance that they would be carried off in the breeze. And once, it was mating season for some small, black bugs that didn’t bite or sting, but swarmed everywhere, mounting each other. But I also remember days spent out on the beach, just sitting in our folding chairs with our books, watching the seagulls hover in the wind. Waking up early to watch the sun rise over the ocean. Eating fried shrimp for lunch and dinner every day. Sitting out on the balcony with a pipe, a beer and a box of chocolates. Wandering around the seaside village on St. Simons until we found this great local restaurant with the most scrumptious coconut shrimp. Strolling through the “Millionaires’ Village,” wondering what ghosts were watching us from the dark windows above. There’s a package store on the island, an IGA and a few restaurants. That’s all I need. Beer, booze, food and beach. A bottle of bourbon and a big Jacuzzi tub in the Lanai suite, with the lights off and the blinds open so I can see the moon reflect off the water. It’s calling me. It’s calling my wife, too. I want to go. It’s so hard to stay away. But, I feel like this is one of those tests, where you offer a kid one marshmallow now or two if they abstain for a minute. I want to go, but I want to go right. Not for a long weekend, but for a long week. I want to go and be there until I’m bored with it, until I’m ready to go home. That’s a good vacation. "And out on the beach there sits two empty chairs that say more than the people who ever sit there..."
Maybe next year. October, when the crowds thin down and the only other occupied table at Latitude 31 is a group of old women sipping martinis and laughing a bit too loud. The ocean will still be warm, but the heat will have broken for the fall. It’ll be time for our anniversary. But, then again, if you’re determined enough, who’s to say you couldn’t talk your way into all three of those marshmallows?